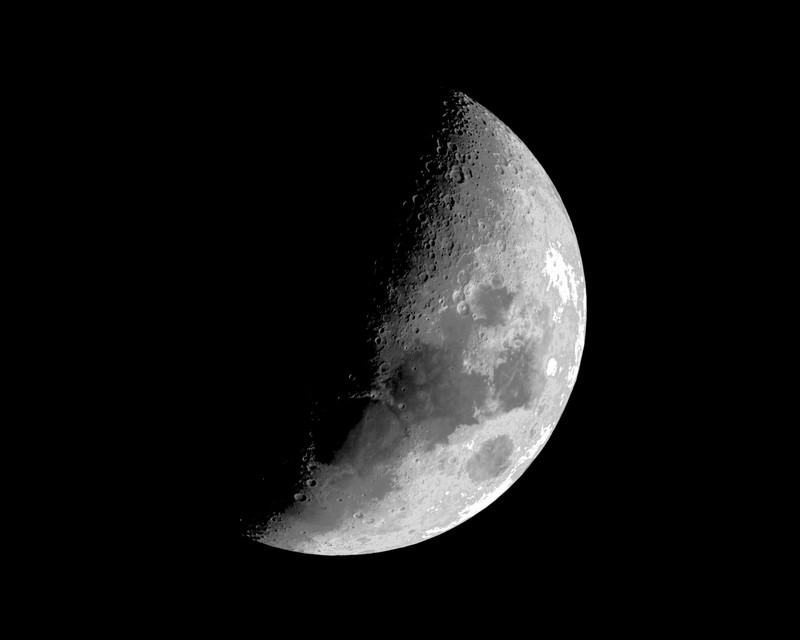 Before deep sky imaging begins, it is always fun to take a look at the moon. 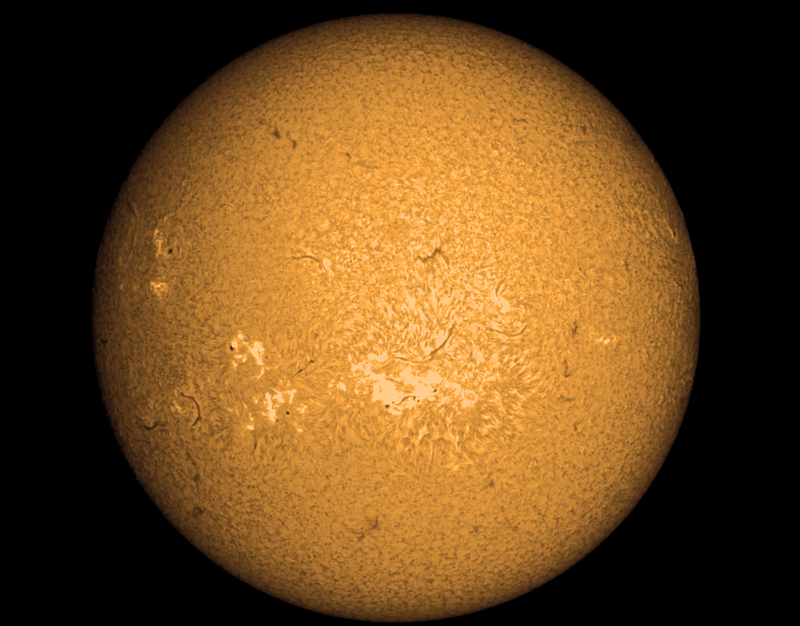 This shot was taken through an Astro-Physics 130 GT refractor while the sun was still up by using a hydrogen alpha filter in the QSI camera. The thirty .02 second exposures were stacked for a total exposure of 0.6 seconds. 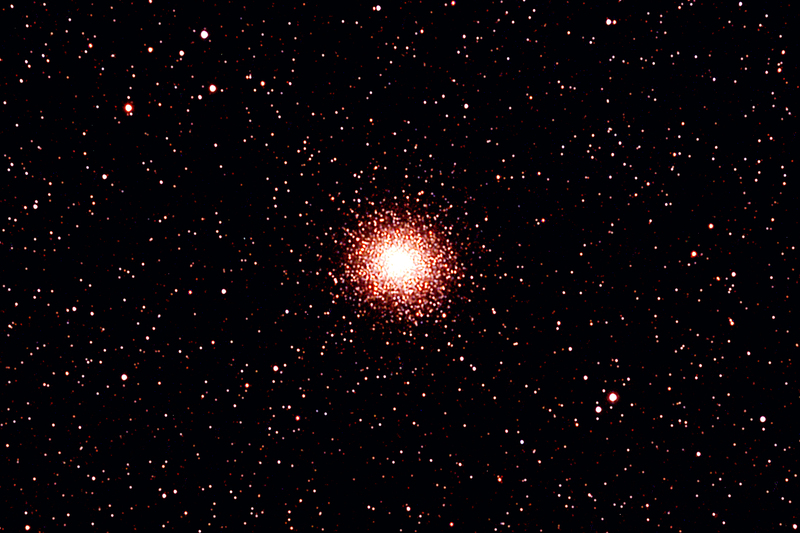 Globular Cluster M14 in the Constellation Ophiuchus. When he discovered this object in 1764, Charles Messier described it as a nebula without stars. Obviously he was wrong, but this points out a primary difference between the efficacy of using your eyes to observe things in our digital age when ccd cameras can see details like this through a four inch refractor telescope. This is a stacked and cropped image of 40 two minute exposures taken with RGB filters by a 9.2 megapixel CCD camera. It was a nice day for solar imaging. The image was taken with a Lunt 80mm refractor and an Imaging Source Video camera. The sub exposures were taken at a rate of four per second. A total of 1000 images were taken and half of them were stacked to form the final image in Registax and the final images were processed in Photoshop.